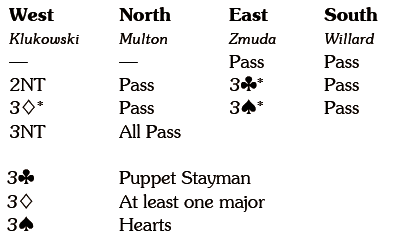 West’s double surely suggest that he has a good holding in hearts, and if East starts with two rounds of hearts West will win and switch to a diamond, after which declarer should be held to eight tricks. 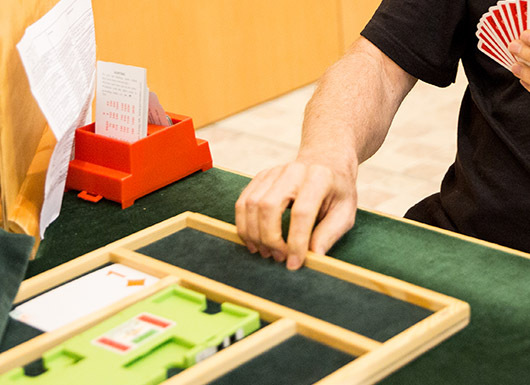 When East led the 3 declarer had been gifted a tempo and he could win with dummy’s jack, cross to hand with a club and take the spade finesse,+550 and a maximum, 24/0. 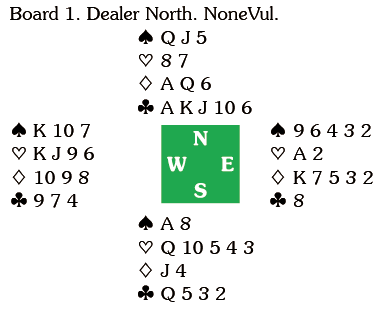 North led the 7 for the nine, ten and queen and declarer played the K, North following with the jack as South took the ace and returned the 6 for the king and ace. 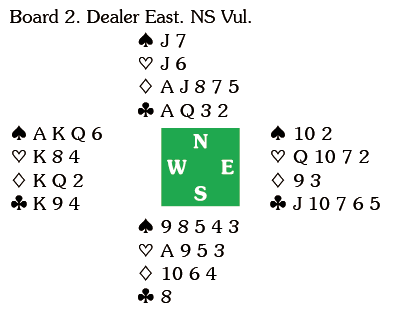 North cashed his diamonds (being careful to show values in clubs by taking the eight before the jack) and exited with a heart. That meant three down, -150 and 22/2. In the first seven of the nine rounds the leaders did not record a single deal below 50% and averaged 70.53%, taking the title by the massive margin of 5.67%.